Walk-through the entire facility with the PHA team looking for safety concerns with emphasis on the ammonia refrigeration system. 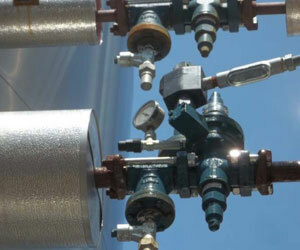 Perform an on-site What-if/Checklist PHA for your Ammonia Refrigeration System. This will comply with the Five-Year Re-certification requirements of OSHA’s Process Safety Management and EPA’s Risk Management programs. Evaluate the range of possible safety and health effects on facility employees from failure of the ammonia system equipment or controls. Analyze the Engineering and Administration controls applicable to the hazards and determine the consequences of failure of the controls. Evaluate External Events such as hurricanes, tornadoes, flooding, fire, snow, etc. to determine the impact these events could have on the system and recommend appropriate engineering and administration controls.